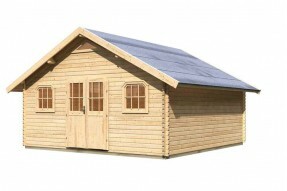 Universal use - office/gym/storage etc...Wide entrance enabling storage of large equipment Attr..
Universal use - office/gym/storage etc...Wide entrance enabling storage of large equipment .. 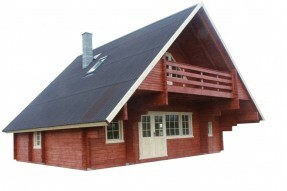 Treated The Anna with its length of 7.2m is a spacious garden house with many possibiliti..
Dimensions - H222 x W213 x D304cmCovered verandaTwo opening windowsTongue and groove floor and roofD..
Dimensions - H270 x W422 x D472cm28mm log thicknessCovered veranda/sun terrace Lockable double ..
Dimensions - H223 x W264 x D256cmSheltered entertaining area with louvre sides and back panelsHeavy ..
Dimensions - H267 x W265 x D219cmLocking Bi-fold double doorsTwo fixed and two opening windowsTongue..
Dimensions - H225.5 x W504.5 x D256.5cmSheltered entertaining area with louvre side and back panelHo..
Dimensions - H222 x W213 x D264cmRoof overhang for shelter and shadeTongue and groove floor and roof.. 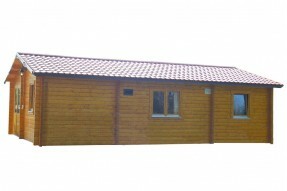 Treated W 300 x L 200 + 89 Canopy Compac.. 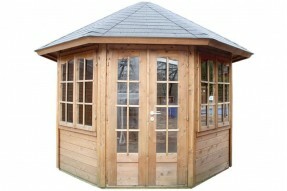 Treated W 300 x L 250 + 89 Canopy Compact size ideal for.. 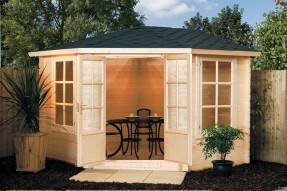 Treated W 300 x L 300 + 89 Canopy Compact size ideal for smaller garde.. 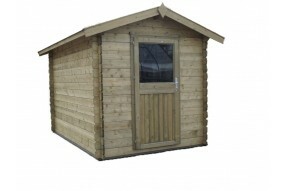 External Dimensions: 507 x 507cmInternal Dimensions: 484 x 484cmSurface: 25.7m2Wood thickness: 40mm..
Dimensions - H260 x W325 x D325cm28mm log thicknessLockable double doorsTwo opening windowsBase fram.. 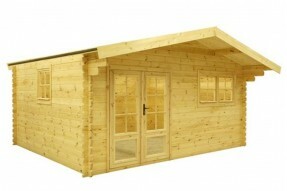 This large chalet is standard equipped with:Double walled floor with insulationDecking 26mm Dou.. 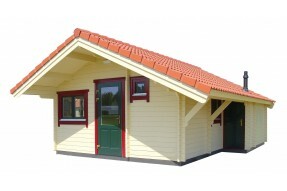 External Dimensions: 572/497 x 608cmInternal Dimensions: 542/467 x 578xm.. 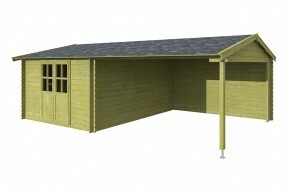 External Dimensions: 471 x 731 x 575cmInternal Dimensions: 471 x 731cmSurface area: 34.43m2Please co.. 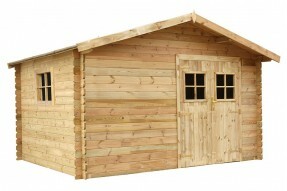 External Dimensions: 570 x 878 x 305cmInternal Dimensions: 556 x 864cmRidge Height: 305cmWall height.. 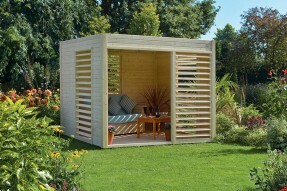 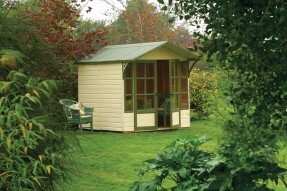 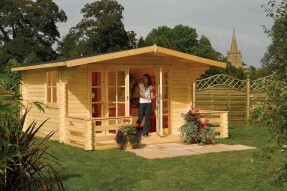 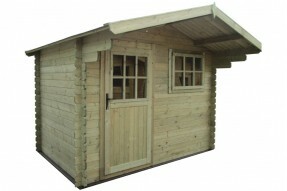 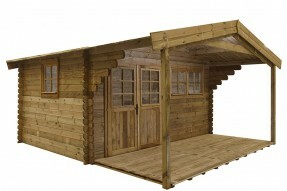 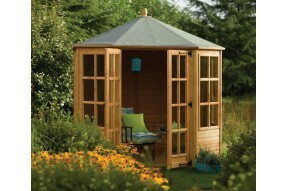 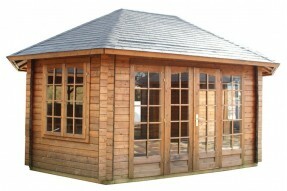 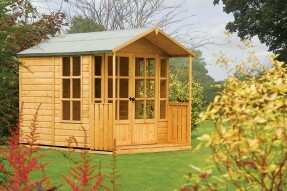 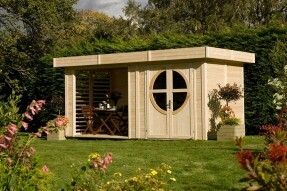 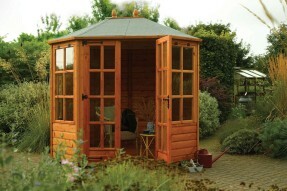 Treated W 446 x L 325 + 200 Canopy A truly warm rustic finish to a classic log cabin Idea.. 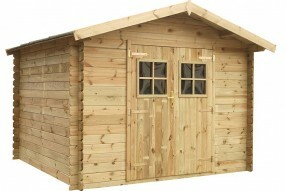 Treated W 220 x L 250 + 3 canopy Simplicity and compactness does not affect the quality of thi.. 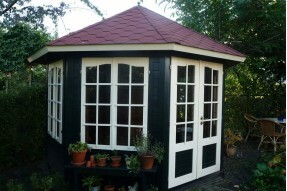 Treated W 220 x L 300 + 30 canopy Simplicity and compactness does not affect the quali..
Includes glass and shingles W 570cm x L 420cm Not only beautiful to the eye but ve..
Includes glass and shingles W 337cm x L 337cm This playful pavilion consists of a larg..
Includes Glass and Shingles W 285cm x L 285cm A stunning garden house with a nice atmo..
Dimensions - H256 x W248 x D194.5cmFour opening windowsPlywood roofTongue and groove floorLocking do..
Dimensions - H256 x W248 x D248cmFour opening windowsPlywood roofTongue and groove floorLocking doub.. 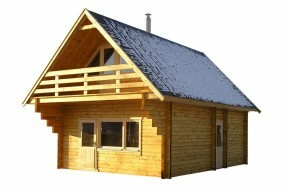 Treated W 500 x L415 + 200 Canopy Large log cabin Plenty of natural daylight thanks to seve.. 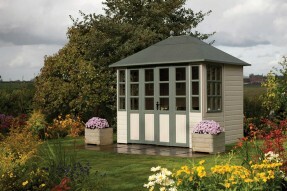 Treated 505 x 415 + 98 Canopy By Sylvia enrich your garden with a ..